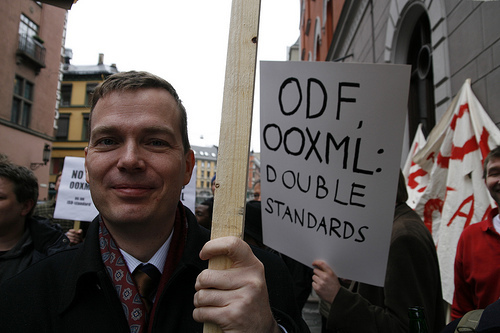 Mr. "you are well paid, shut up", who now works for a Microsoft lobbying arm, threatened governments that 'dare' to snub OOXML. If Microsoft thinks it can now inject its immature OOXML as an alternative format in South Africa’s MIOS, they certainly are facing an uphill battle. SABS and DST will undoubtedly expect to hear a lot of whinging about “choice” and “market forces” lobbied at certain Ministerial Departments. Will CompTIA and ISC please step up? This goes to show that certain Ministries of Science and Technology can stand up for the interests of their citizens, and not have to feel pressured by a single foreign multinational. If only this independence was more prevalent around the world.